Mount Druitt Hospital volunteers Ronald Whitlock and Margaret Brigg. 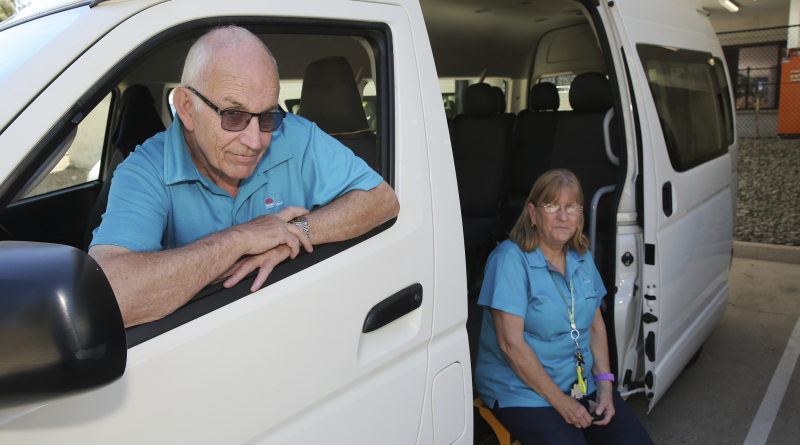 Meet two of 32 volunteers who make up Mount Druitt Hospital’s volunteer driving team. Each year these dedicated drivers transport more than 3,800 patients from the Blacktown Local Government Area to and from their medical appointments at Westmead, Blacktown and Nepean hospitals. Mount Druitt Hospital volunteer manager Janice Low commended the team for their dedication to patients and the community. “I take my hat off to these men and women who each weekday arrive early – despite cold mornings, heat waves and heavy rain – they have the engines running and ready to take patients to and from their medical appointments. “Some people do not have access to a car, or are unable to take public transport. Our drivers ensure patients arrive at their appointments on time and safely,” Janice said. Thank you to all our volunteers who help the patients and families in our communities!